Whenever ventilation is required in the enclosed compartment and at the same time noise is to be controlled, installing duct silencers or attenuator are the best way to solve the problem. The silencers permit air to flow through while reduce the noise by absorbing it. Rectangular Silencer are designed for use with a rectangular inlet and outlet in case of using Absorption and Resonator - Absorption silencer. 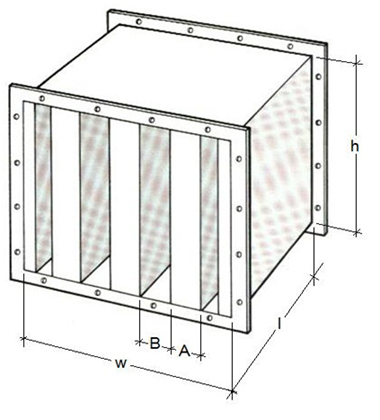 GPS Rectangular silencers contain a formed outer shell c/w flanges, the interior baffles are fabricated from perforated sheets packed with absorption material at a controlled density to achieve the required silencing. Our flexible design provides Stoddard the opportunity to customize the dimensions and parameters for standard requirements or unique applications. 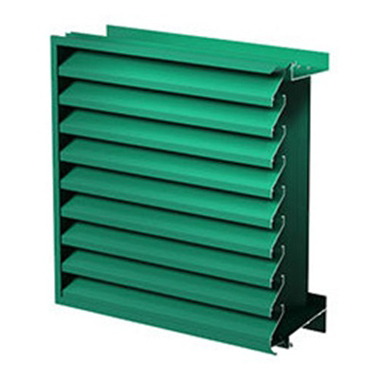 Our Rectangular Silencers can be customized to suit a customer’s desired height, width, length, and size proportions. All metallic parts are manufactured from carbon steel. Absorption material used is dependent upon the operating conditions. Additional connections, mounting brackets, special material, or special paint available are at extra. 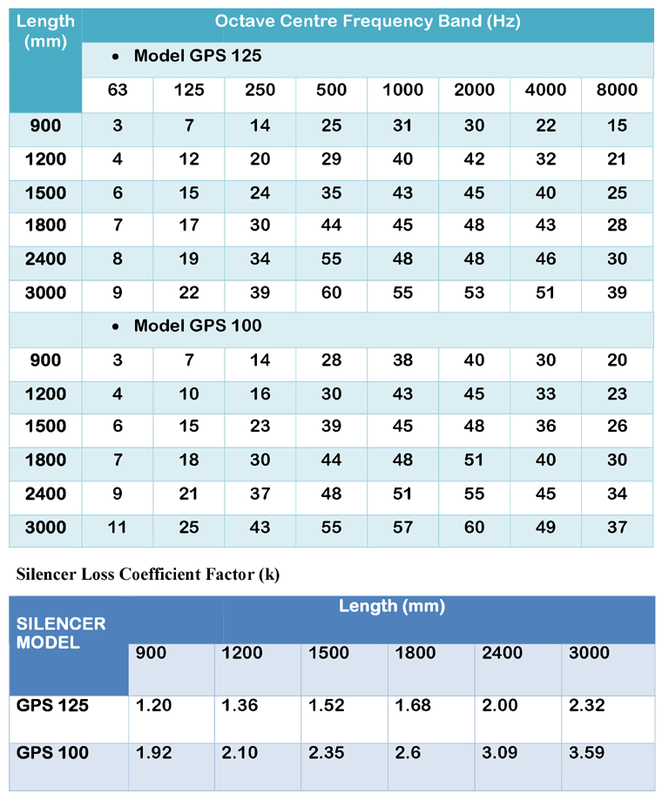 The Insertion Loss of the Silencers performance below have been determined in accordance to BS4718 : 1971 - Method of Test for Silencers for Air Distribution System.